Victoria police Const. Cody Lapierre said the man was so impaired he could not provide a breath sample. 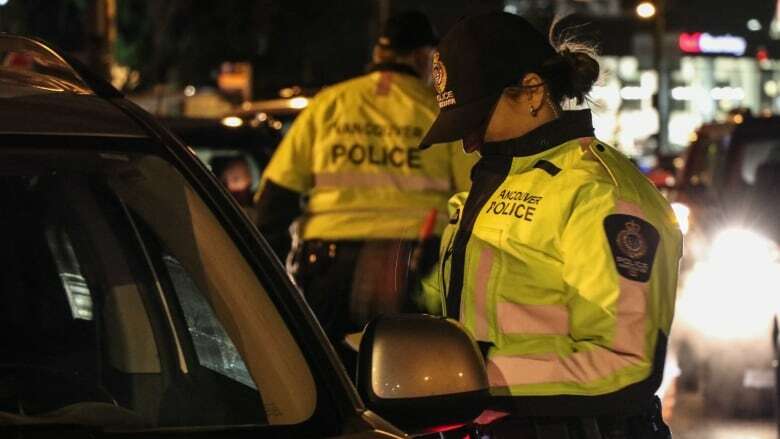 A Victoria police constable says officers had a "very scary" encounter with an allegedly impaired driver during a roadside check on Friday night. Const. Cody Lapierre said on Twitter that the man tried to give his hamburger to the officer instead of his driver's licence. Lapierre said the man was so impaired he could not provide a breath sample. The constable also said the driver almost struck an officer on his approach. Police in B.C. have stepped up roadblocks to catch drug and alcohol-impaired drivers during the holiday season. Lapierre said police found two other alleged impaired drivers over a two-day period in Victoria last week, both of them involved in collisions.